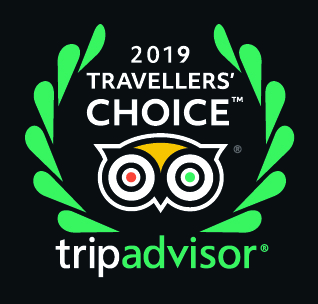 MAI TAI RESORT NAMED WINNER IN 2018 TRIPADVISOR TRAVELLERS’ CHOICE AWARDS FOR "Certificate of Excellence" and "Hall of Fame" - recognising 5 consecutive years of consistently high ratings from travellers. MAI TAI RESORT - WINNER 2019 - 21st PLACE OUT OF "TOP 25 SMALL HOTELS - AUSTRALIA"
An exclusive, luxury, boutique resort / retreat hidden away in the hinterlands of Port Douglas. This Balinese boutique style mountain retreat is the perfect location for the discerning guest. Offers guests the ultimate in boutique accommodation and consists of four beautifully appointed romantic rooms, plus one two bedroom completely private self catering Executive Villa with it's own private plunge / spa ensuring all your comforts are met. All Rooms have private outdoor sitting areas and Deluxe Rooms complete with tropical outdoor Balinese style showers. A gated, fully private retreat and caters for only a maximum of 12 guests at any one time offering an intimate, relaxed atmosphere and a perfect location for your honeymoon, anniversary, special event or romantic holiday getaway. Mai Tai has been chosen for it's location to host many beautiful wedding & committment ceremonies. Located approximately 10 minutes North from the Port Douglas entrance and within easy reach of all major attractions - making Mai Tai the perfect location to experience the natural wonders of Port Douglas and it's surrounding areas. Explore the beauty and magic of the Great Barrier Reef or take an adventure by private 4WD to the Daintree and Cape Tribulation and experience the wonders of the oldest Rainforest in the World. Perched high on top of a mountain in the Hinterlands of Port Douglas and nestled amongst 5 acres of private lush tropical rainforest. Mai Tai commands spectacular views towards the Daintree Rainforest, Thornton’s Peak and the beautiful Coral Coast and attracts birdwatchers to Mai Tai from all over the world. Takes you to a safe environment where you can be free to relax, unwind and soak up the peace and privacy of this exceptional first class boutique retreat. Is one of only a few that offer adults only accommodation within Port Douglas, were IF you so desire can enjoy the comfort and freedom of a non clothing OPTION around the pool area. Mai Tai is NOT suitable for children under 18. Pet friendly accommodation Port Douglas - for well behaved small pets only. Mai Tai is Gay owned and Gay friendly accommodation Port Douglas. Your hosts speak English, German, Spanish and Italian.